Although standing head and shoulders over the hyenas, young Red, his mane flowing and mouth stained with the blood of his enemies, begins to flag. Hyena cackles drift across the African savannah, building to a crescendo of victory whoops. “He cannot keep them at bay much longer… He’s tiring fast,” says Sir David as the short clip released for tonight’s broadcast fades. Viewers will have to watch to find out what happens in the latest edge-of-the-seat storyline presented by the highly acclaimed series that delves into the world of nature’s most iconic creatures and their tremendous struggles for survival. Already, the series has explored the deadly fights for dominancy among the chimpanzees of Senegal and how emperor penguin fledglings face the harshest climate conditions on Earth. This third episode follows the famous Marsh Pride of Kenya’s Masai Mara. Led by a remarkable 14 year old lioness called Charm, her 10-strong family have a far from charmed life facing the hardships of finding prey when the great wildebeest migration comes to an end. There are run-ins with hippos and buffalo but, most deadly of all, is the conflict with livestock farmers ready to put down poison bait to protect their cattle from marauding lions. Hyenas are also a constant and when Red, one of the young males that make up Charm’s family group, goes exploring alone, leaving sidekick Tatu with the rest of the pride, the outcome looks disastrous. Simon Blakeney, producer of tonight’s episode, explains: “Some of the most exciting moments involved the pride’s two sub-adult males, called Tatu and Red. They are like teenagers, in human terms. 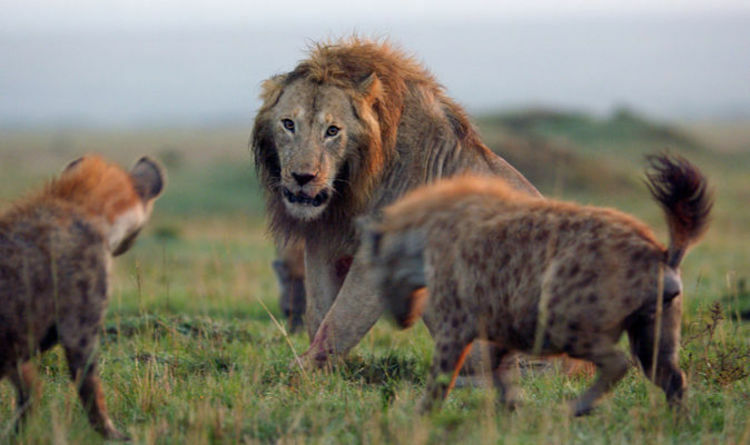 Describing the battle royal between Red and the hyenas, Blakeney explains: “Initially he tried to show how dominant he was by chasing individual hyenas. But by the time he got over his bravado, he was surrounded by twenty or thirty of them and couldn’t escape.